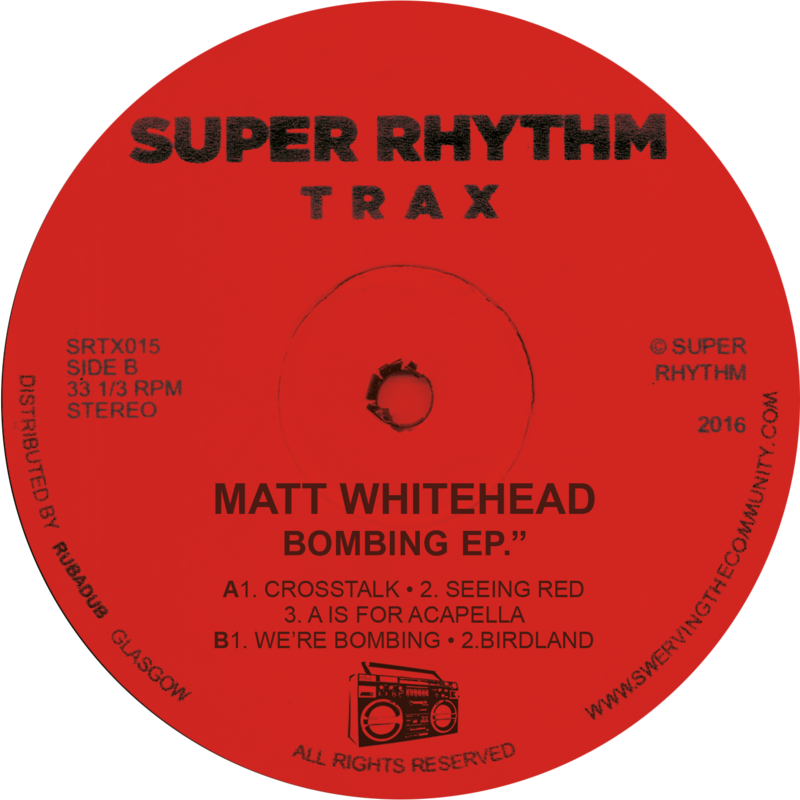 Home / Super Rhythm Trax / 015: Matt Whitehead “Bombing EP” (Super Rhythm Trax) Repress !! 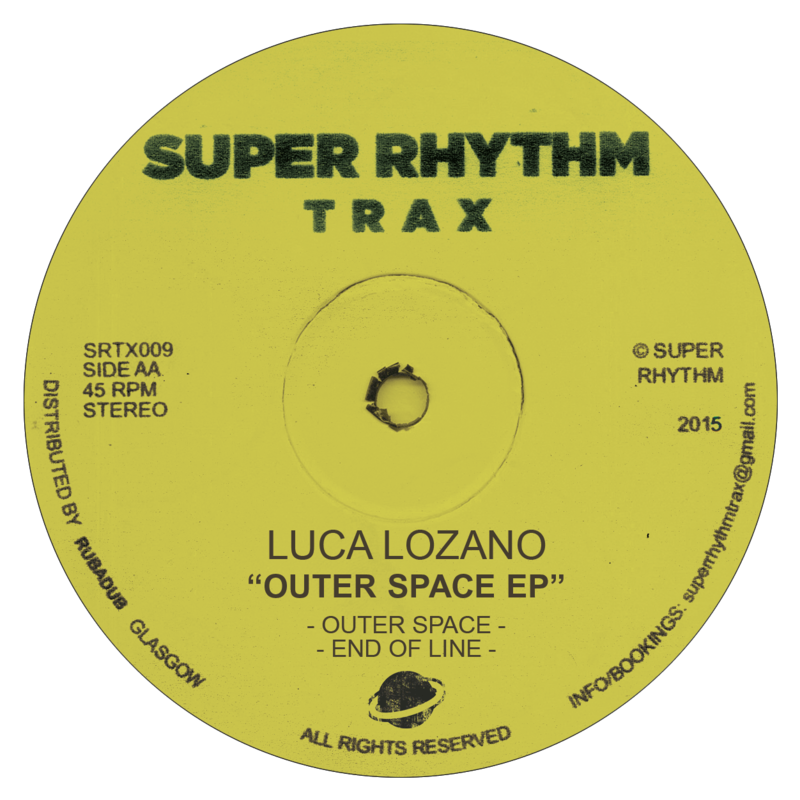 Matt Whitehead makes his debut on Super Rhythm Trax, although unofficially, the split EP with Neil Landstrumm on Don’t (Don’t 020) was in many ways the first Super Rhythm Trax release even if the cat number suggested otherwise. 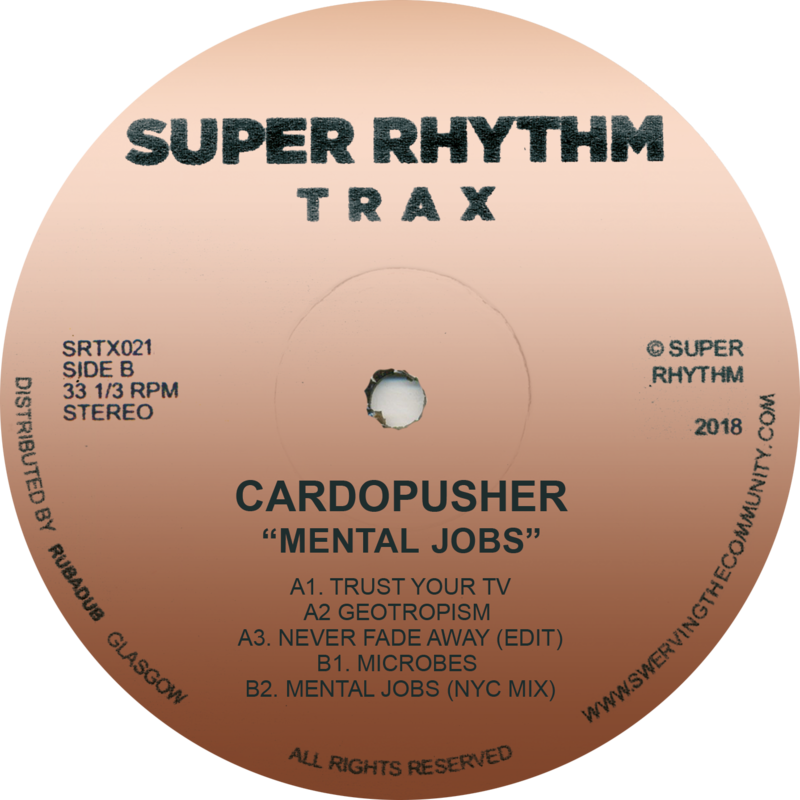 Here Matt shows off his skills and gives us ‘Crosstalk’, ‘Seeing Red’ and ‘Birdland’ channeling classic Detroit and Chicago House/Techno that’s heavy on the analogue and all recorded down to tape for extra warmth. Make sure you don’t miss Matt’s Electro opus; ‘We’re Bombing’, a love letter to the 80’s Street Sounds that have influenced much of his catalogue to date. 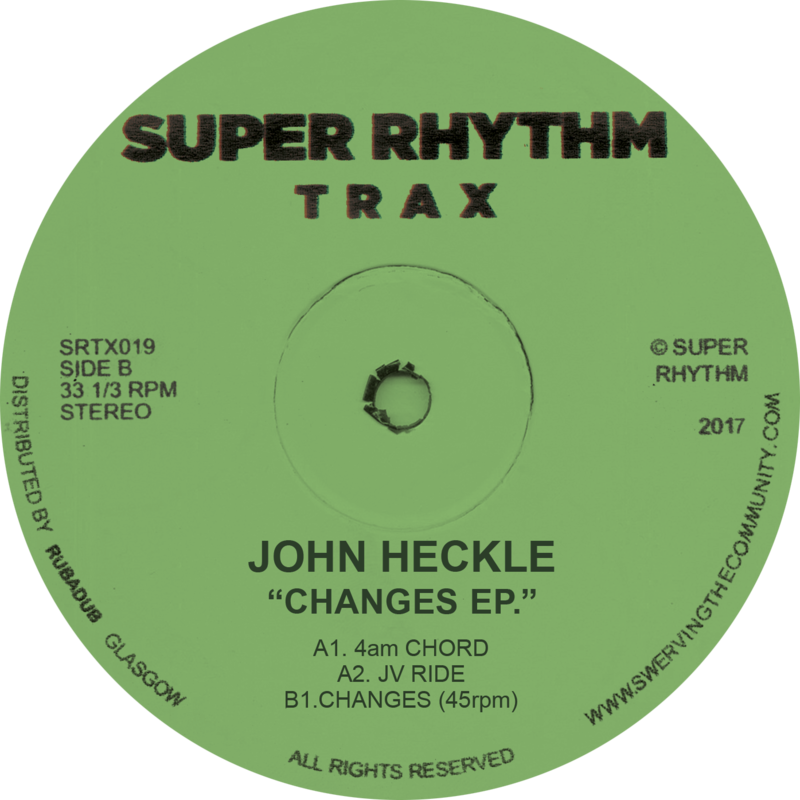 Then as a special treat for ‘A is For Acid’ lovers, we have the raw 303 workout in all it’s solo glory so you can ‘make your own’.